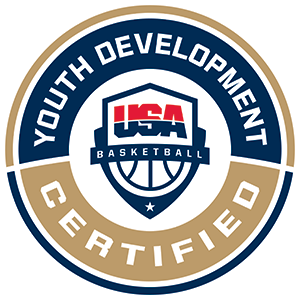 The USA Basketball Coach License program focuses on educating coaches while ensuring the safety of those with whom the coach may come in contact. Join an inclusive basketball community of credible, qualified and dedicated coaches and administrators who serve the youth basketball community in the United States. Challenge yourself to become a better teacher of the game and receive recognition as a licensed coach through USA Basketball. For more information, Click here.